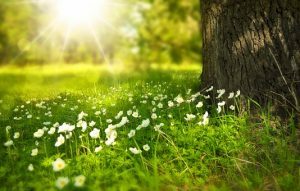 Plan to join us to kick off the 2019 gar­den­ing sea­son! 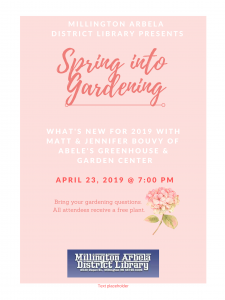 Matt and Jennifer Bouvy of Abele’s Greenhouse & Garden Center will be at the li­brary to­mor­row night at 7pm to share what’s new this year and to an­swer your gar­den­ing ques­tions. We will also have a se­lec­tion of used gar­den­ing books for sale at the event for just $1.00 each.